Monkfish, wrapped in prosciutto and served over a cannellini bean puree with blistered tomatoes and balsamic glaze! Delicious! There it is, my pizza oven! 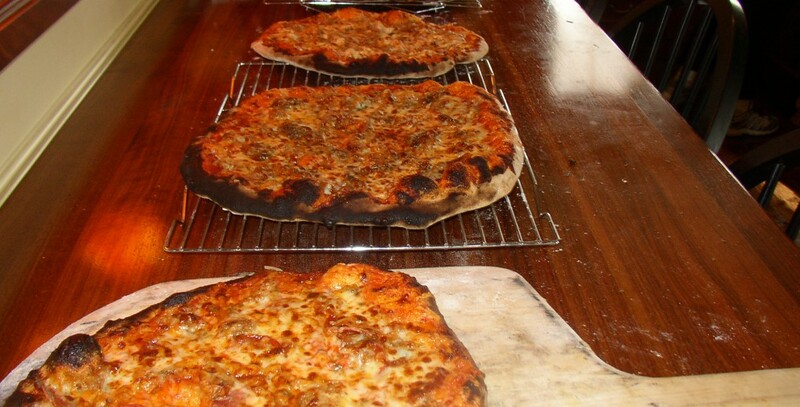 And below are a few of the pizzas that came out of it this weekend! And soon to be on the first challenge of my local NBC 10’s cooking competition, “Be the Next Local TV Chef!” I have been so busy since entering this competition. Word has it that it will queue up on line for those of you not in the Philly area. I will advise. Until then, know that I miss writing for you all! Hope all is well!